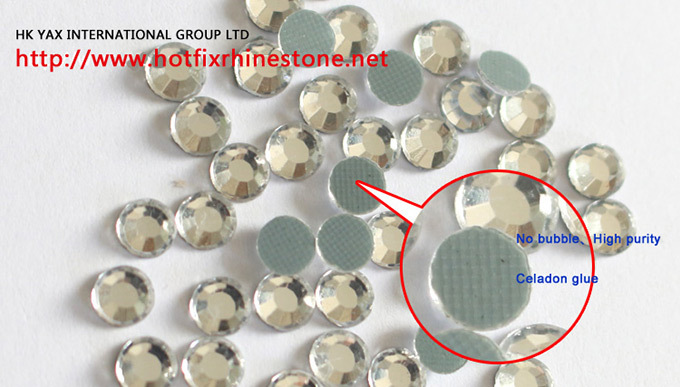 1.The price is not the test standard of lead free rhinestone. 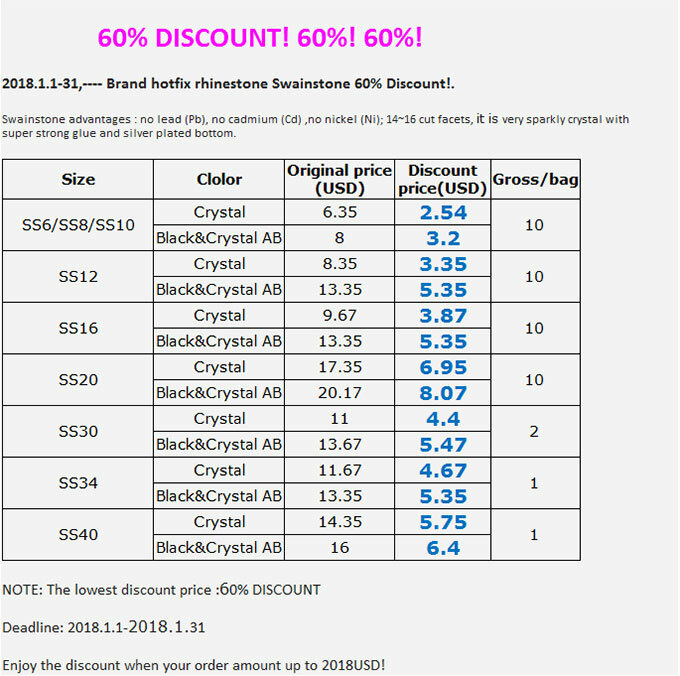 For example, with the high price of DMC and copy DMC are not lead free rhinestones;, the Korea rhinestone,Czech rhinestones, Austrian rhinestones which imported are not lead free crystals too. 2.The brightness is not the test standard of lead free rhinestones. It is not correct that it can pass test with more shiny appearance and higher refraction . 3.The color of undercoat is not the test standard of lead free rhinestone. It is according to the test data to judge if it can pass test.One is through the third laboratory test data ,another one is by controlling every steps on the production process with environmental raw material based. 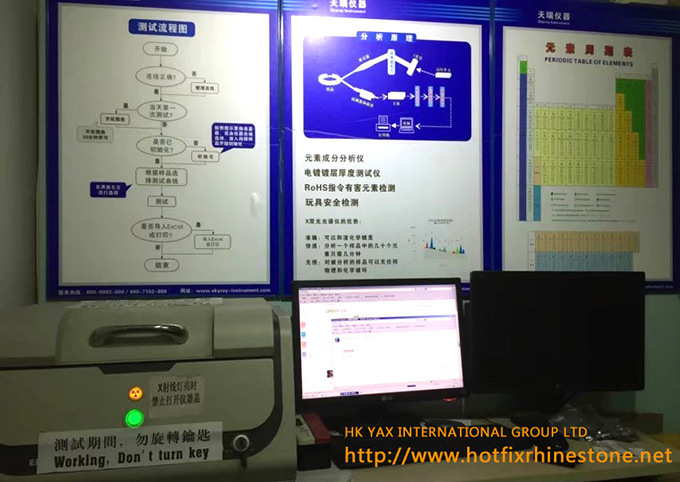 If you worry about the usage of lead free rhinestones and feel trouble for the testing, we would like to make an field inspection on YAX Eco-friendly laboratory for you. It only need 1-2 hours to finish an testing face to face,we can also help you to test some of other eco-friendly products.